What Is Lipstick Made Out Of? It's hard to deny that applying the right shade of lipstick can add just the right finishing touch to a polished makeup routine. Few cosmetics offer the kind of gratification that lipstick, with its instant pop of color, provides. However, understanding just what goes into that tube of lipstick might detract from some of the glamour that is associated with this cosmetic. Delving into the various waxes, oils and pigments that go into the average lipstick product can be interesting, and in some cases, eye-opening. Various waxes are used to provide a textural base for lipstick. Perhaps the most commonly used and easily obtained wax that is used in lipstick comes from bee honeycomb. Beeswax is a completely natural product that contains straight chain acids and monohydric alcohols. Of course, since the average consumer is not a chemist, these ingredients may not be of major importance. The fact that a beeswax base represents a safe and natural product is the main selling point. Other commonly used waxes include carnauba wax and candelilla wax, which are derived from plants. 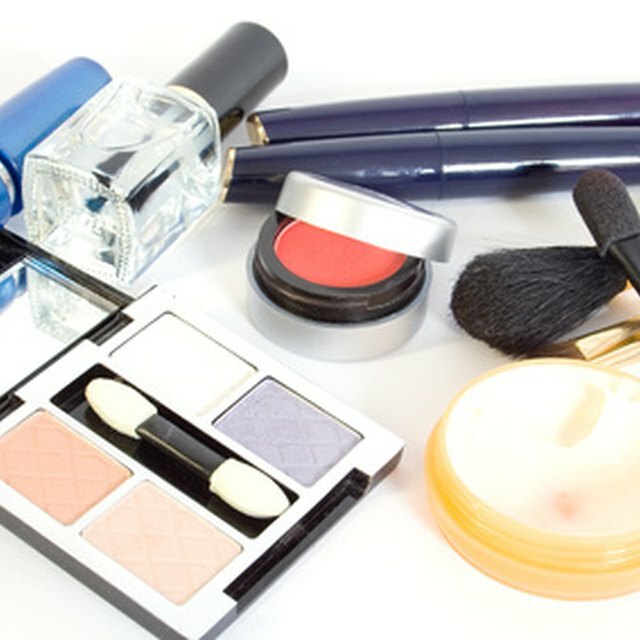 Lipstick also contains a number of oils and fats that will vary with the manufacturer. Olive oil is not just for salads but might also show up in your favorite lipstick shade. Other frequently used oils include lanolin, cocoa butter, petrolatum and mineral oil. It might be surprising to know that many lipsticks contain quantities of old-fashioned castor oil. Castor oil is known for its ability to allow lipstick to remain shiny after it dries. Pigments are added to the wax and oil base to give the product color. Dyes that are commonly added to lipstick include D&C Red numbers 21, 27 and 34. If a peachier shade is desired, D&C orange number 17 may be used. Other commonly used pigments include bromo acid and calcium lake. Titanium dioxide can be mixed with red pigments to achieve various pink hues. Creating lipstick is primarily a process of heating and mixing these ingredients. In a method that is similar to the way that crayons are manufactured, this heated combination of oils, waxes and pigments is then poured into metal molds and cooled. The finished lipstick is then placed an applicator, packaged and made available for sale. Today's lipsticks come in a variety of finishes, from frosted to pearlized to matte. To achieve these effects, various compounds and ingredients are added to the base. A synthetic pearl compound named bismuth oxychloride yields a frosted or pearlized quality. Shimmery shades contain mica or silica dust. To achieve a matte finish, more wax and less oil is needed. Many lipstick manufacturers include beneficial ingredients that are often highlighted in advertising campaigns. Features such sunscreens, vitamin E oil and aloe vera can be major selling points for consumers. These ingredients work to keep lips moist, prevent drying and provide protection from the sun's damaging rays.